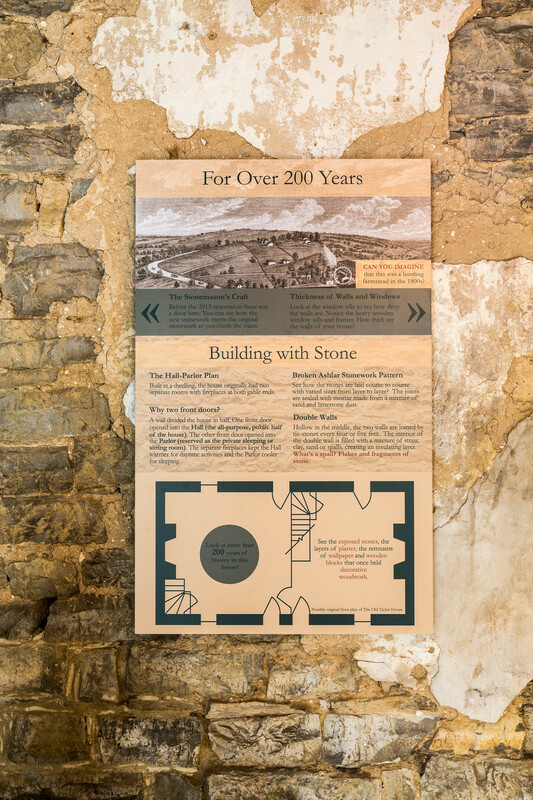 This visually rich, interpretive exhibit was installed in 2015 as part of the visitor experience at this National Landmark distillery. The limestone house was built around 1800 on the banks of the Kentucky River. 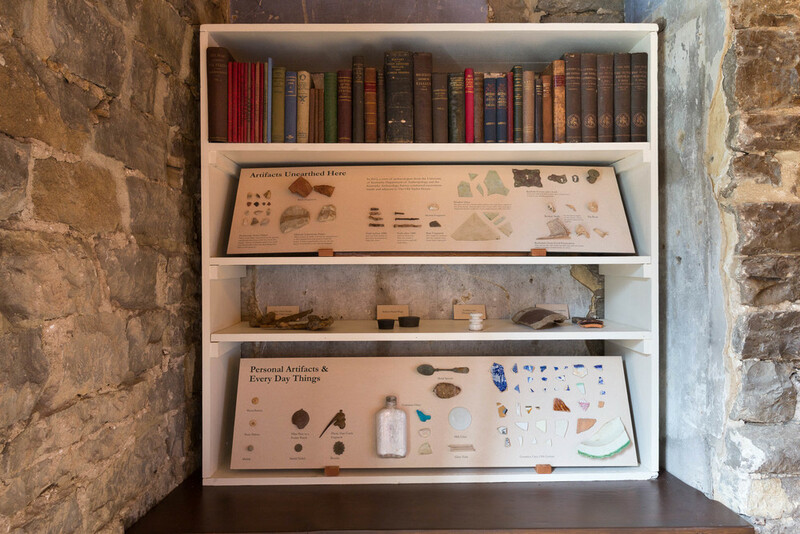 The artifacts include prehistoric limestone flakes found onsite by archaeologists showing evidence of the activities of Native Americans. The interior fabric of the building remains intact with remnants of the original animal-hair plaster walls exposed. Vintage lab instruments are displayed. 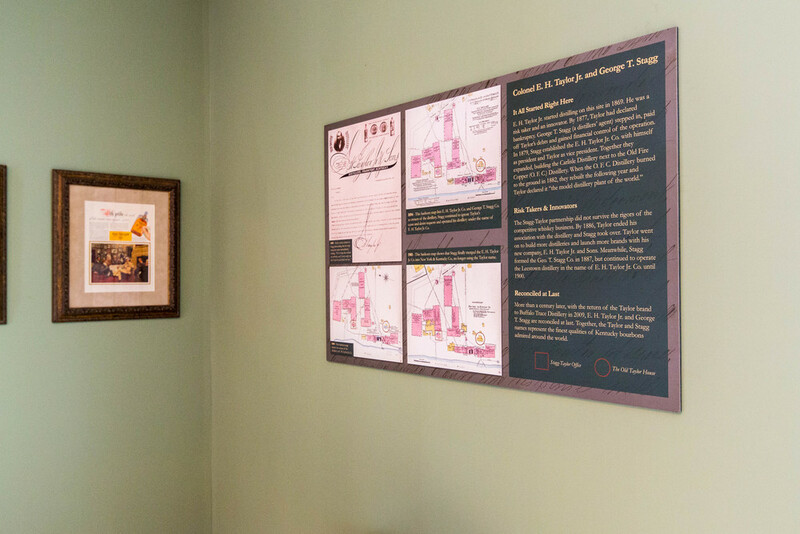 The story of the father of the modern bourbon industry, E.H. Taylor, Jr., his family and his famous feud with George T. Stagg is told with vibrant, beautifully restored, archival images and tasteful graphic design.